Between all the running and jumping and kicking and punching and The Man and some kind of cyber-zombies or something I don’t know, Remember Me had a novel little puzzle game. ‘Memory remixing’ had you jacking into people’s brainboxes to prod and poke and change how they recall events. Sounds like developers Dontnod are focusing on a similar idea with their next game, only with actual time travel and history-changing and fewer guns (relax: not no guns). Yesterday they announced Life Is Strange, an episodic adventure game about rewriting history. Anyway, this damn disrespectful teenager will go about messing with time as if she owns it, poking around and making changes which will surely have unintended consequences and who do you think will have to clean it all up afterwards? In Telltale style, decisions will carry over between episodes. Publisher Square Enix haven’t given a release date for the first episode yet. Hey gang, why not write your own hilarious joke about punky teenagers in the Pacific Northwest, disappearances, Gone Home, ghosts, time, and zeitgeists? Answers on a postcard, please. 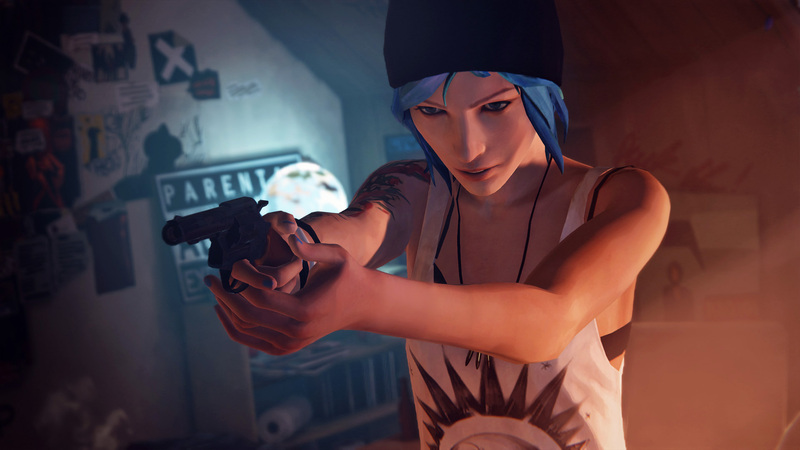 Tagged with Dontnod Entertainment, Gamescom 2014, Life Is Strange, Remember Me, Square Enix.